We’re Going to the BC Supreme Court! I’m Adrian Crook, a single father of five kids living in a condo in downtown Vancouver and an Independent Vancouver City Council candidate in this October’s election. In April of 2017, British Columbia’s Ministry of Children and Family Development (MCFD) began an investigation of my family based on an anonymous report of my children riding the bus to school together. For two years up until that point, I engaged in a long and careful process of riding the bus with my four oldest kids, training them to take the city bus to their school. Teaching them transit is an effort to instill independence, model sustainability and increase their safety. 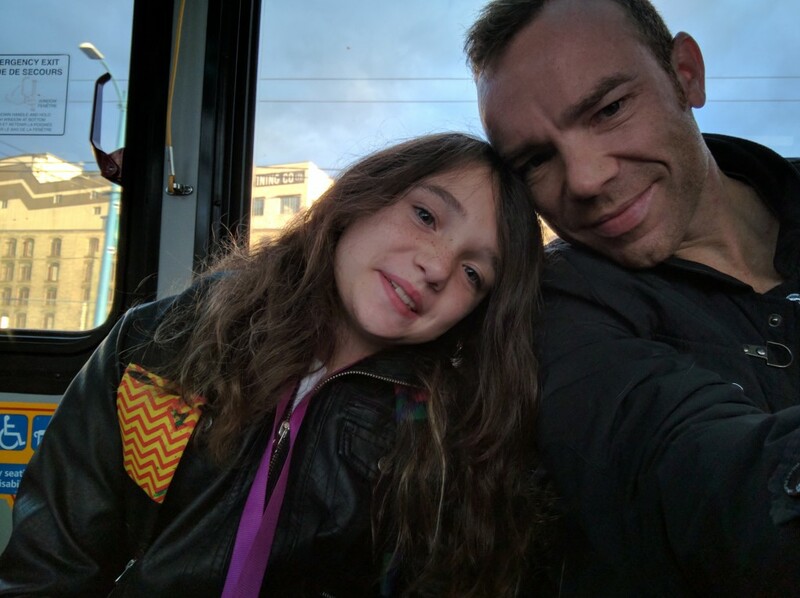 My eldest daughter and I, on the bus together. I documented my rationale in two blog posts in 2015, here and here. This was despite the MCFD complimenting my parenting, saying there’d been no negligence and that I “went above and beyond” what they expected any reasonable parent to do when training kids to take transit. The Ministry’s investigation focused on anecdote instead of evidence. They prioritized their fears above the relevant facts. They set out to avoid liability, rather than support responsible parenting. And most importantly, they specifically ignored the Charter rights of my family. When I wrote my blog post about this decision, I was overwhelmed to get hundreds of messages of support from fellow parents. The Ministry received scores of letters on my behalf. Editorials in the Globe & Mail and the National Post, among many other articles and media, decried the situation. We raised over $40,000 on GoFundMe in support of a legal challenge. We were fortunate to get support from across the country in September 2017. I sincerely appreciate all the good will and effort everyone directed toward my family, then and now. [The Decision] does present itself as a “blanket statement” which therefore has significant implications. I conclude that the restrictive and predetermined nature of the decision is not entirely reasonable and does not align with the Ministry’s position to look at each situation uniquely and evaluate risks accordingly. The decision does not represent the unique circumstances of the complainant’s family nor is it practical or reflective of the lives of many other families. It is necessary that the Ministry provide consistent messaging and service delivery and therefore, the closing letter is too far-reaching and unnecessarily restrictive. …the decision still stands today. So since that decision in 2017, we’ve had to abide by this unduly restrictive, flawed and broad ruling. This has meant my kids have lost basic freedoms they’ve had for years. We also had to stay indoors after school for much of the past year, as I can’t afford childcare and could not leave the kids alone, or bring them all out with me every time I needed to leave the house. I also returned to riding the bus with them to and from school, twice a day, resulting in over 3 hours a day of my time spent on transit. About as far as my under-10s can range away from me now, (she’s pouting). I talk about some of these challenges in this blog post from last January. Today I am proud to announce that after a long road and many hours spent with my small legal team, we have filed a petition in the British Columbia Supreme Court. In it, we ask the court to order that the decisions of the Director of Child, Family and Community Services be quashed and set aside. We seek declarations that the Director exceeded their authority and jurisdiction and that the Director failed to explain how they represented a proportionate balance between my family’s rights and liberties protected by section 7 of the Canadian Charter of Rights and Freedoms, and the Director’s objectives in coming to their decisions. We also seek a declaration under section 24 of the Canadian Charter of Rights and Freedoms that the decisions failed to appropriately weigh an infringement of section 7 of the Charter against the justifications for such infringement and were therefore unreasonable. We believe that we have a strong legal case that supports our position. Importantly, at no time during the investigation by the MCFD or subsequently, was there any consideration, conversation or acknowledgement of my Charter rights as a parent to make decisions for my children. There was no evidence or suggestion that the MCFD made any assessment of my children’s rights and freedoms or had any data or evidence to suggest that they were better off with the imposition of the decisions or that there were legitimate safety concerns in riding the public bus. 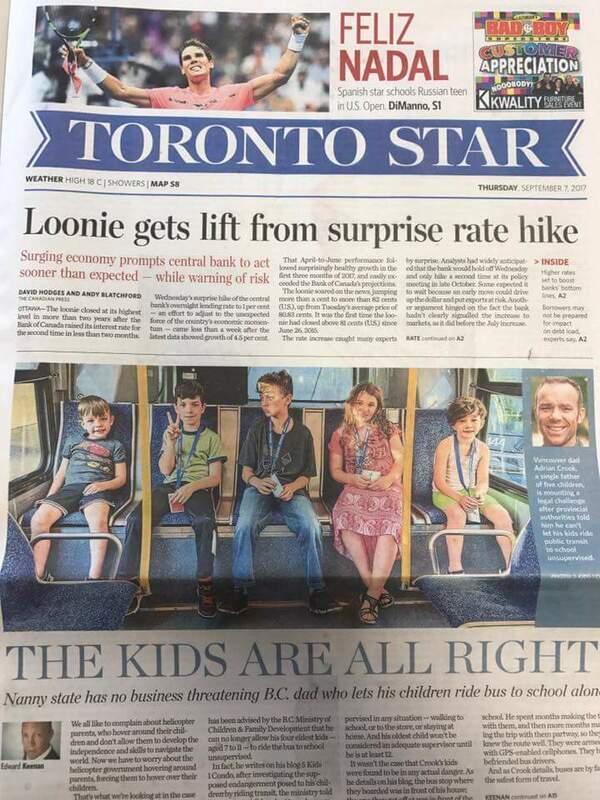 Finally, there was no suggestion that my children’s interests in learning how to take public transit and learning how to be independent individuals were balanced with the concerns regarding their safety. I am elated to have made it to today. It is an honour to launch this Charter challenge on behalf of like-minded parents, supporters of evidence-based policy and those who believe in the right of kids and parents to be free from baseless state intervention. 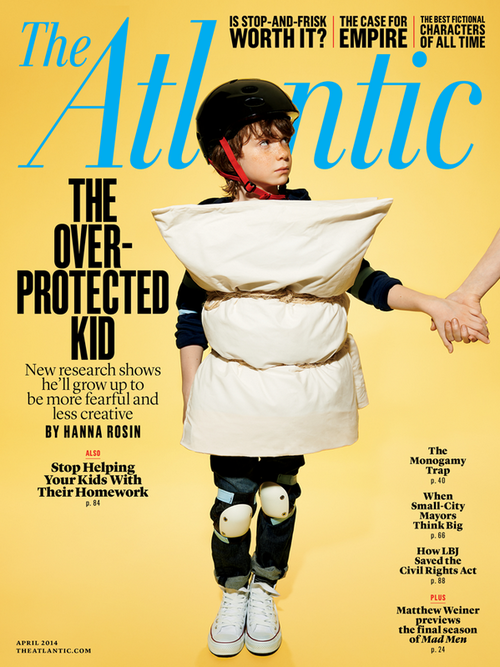 Despite research showing the negative effects of overprotected kids, the “short game” of helicopter parenting is what’s rewarded and (legally) expected now. 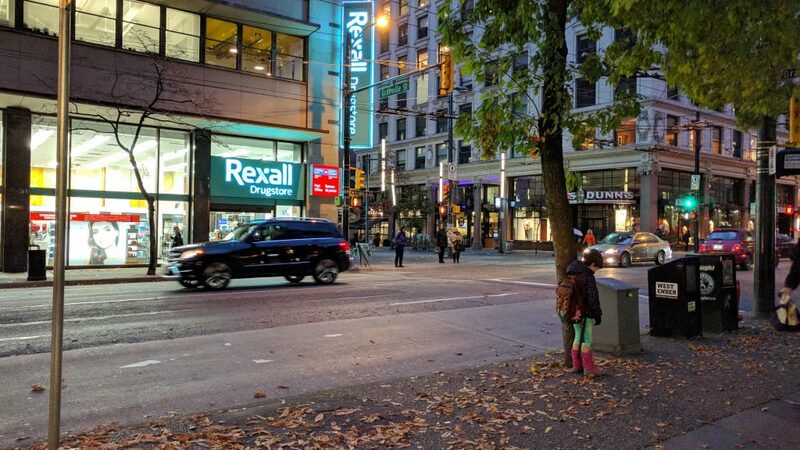 Our Metro Vancouver communities are full of good people and are, with few exceptions, safe for us and our children. I hope that other parents are undaunted by my ongoing encounter with the MCFD, and choose to make evidence-based parenting decisions they feel are right for their children, rather than fear needless intervention such as what’s happened in my case. Lastly, I want to acknowledge the specific privilege that affords me, a middle class white male, the ability to file a case such as this. Since I began this journey, I’ve learned of the disproportionate numbers of Indigenous children taken into Ministry care, across Canada. In Manitoba and Saskatchewan, almost 90% of children in their Ministry’s care are Indigenous (10,000 of 11,000 children). Those who are marginalized or impoverished are often denied a platform to pursue legal remedies to Ministry imposition. 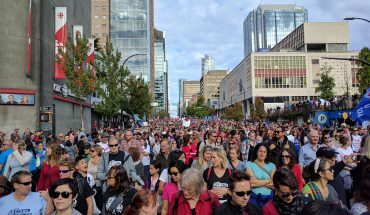 My privilege, and resulting support I’ve received from across Canada, has given me that platform. I don’t take gift that lightly. I hope this legal challenge sends a message to our government that we expect public policy to be made by embracing facts, not fear. The GoFundMe is still open and accepting contributions to our now underway legal campaign. Want To Help Me Run For City Council? Here’s How. Thank you so much! And congrats on your move! 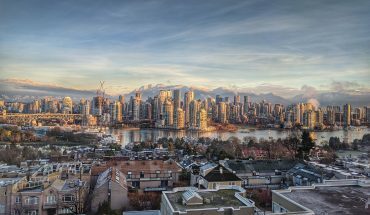 I just discovered your blog yesterday, and have been really impressed with many of your posts, particularly related to renting vs owning (I’m an avid apartment renter in vancouver, and plan to stay that way), especially doing it with 5 kids! But your fight in this case is particularly important, and admirable that you’re making this happen. 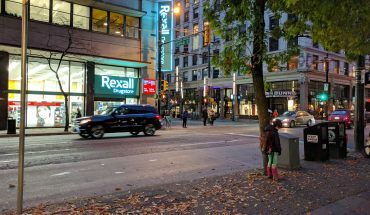 I really appreciated in my own childhood being able to explore the neighbourhood of vancouver I grew up in with and without parental supervision, and believe that the independence it gave me was integral to having a happy childhood. Good for you, and all the best at the supreme court! I’ve been following your story since all this craziness started. I support your decision to file a petition in the BC Supreme Court. The ministry is overreaching and their abuse of power should not go unchecked. It’s interesting that they have said your kids can’t be left unsupervised because now your oldest is old enough to take the babysitting course offered by the Red Cross and could technically babysit his younger siblings. Obviously you had done a great job parenting your children and teaching how to be safe etc… but all because of anonymous complaint because they felt uncomfortable seeing kids alone you now under restrictions. As a single parent myself it troubles me that someone can make an anonymous complaint all because they don’t agree with my parenting choices. I’ve let my son have some independence but not nearly as much as my sister and I grew up with. Riding transit by ourselves sometimes to and from our Dad’s work or summer day camp. I was 10 or 11 when I first took the ferry from Departure Bay to Horseshoe Bay and then rode the bus into the city and transferred to another bus to get to my Dad’s. He also let us walk to and from the store and sometimes the laundry mat by ourselves. Both our parents let us go ride our bikes and play with friends unsupervised. Nobody ever complained or asked us why were out by ourselves. Different mentality back then I guess.